The emergent discipline of literary studies calling itself “English” in the Anglo-American world spent the first half of the twentieth century defining its object of investigation and refining its methodology. It spent the second half of the century undermining these achievements and destroying the consensus on which they depended. Academics were insulated from recognition of the hubris of their endeavours by at least two salient factors: first, the eminently plausible idea that the author was dead or dying and in the process, to paraphrase Barthes, giving birth to the reader. You will recall that it was in 1967 that the discovery was made that it’s the reader who writes the text, not the writer. Well, not the reader, actually, but rather a convergence of oppressive discourses functioning to reproduce the passive subject of globalizing consumer capitalism. Still, the idea was enormously empowering for academic readers, who found themselves not only authoring texts like Heart of Darkness, but also putting the boot into the dethroned writer for his dated political ideas. Second was the realization that the new, theoretical, inter- and trans-disciplinary approaches emerging at the time provided a myriad opportunities to generate, in double-quick time, academic discourse – and therefore scholarly publication – on a scale way beyond that enabled by any methods and precepts hitherto available. And publications meant both job security and political credibility. In the case of English, the result has been decades of faux-professional transdisciplinary work fraudulently selling itself as “literary studies”. It seems professional because it is written in a high-falutin register that ordinary people find incomprehensible. But it is fraudulent to the extent that it spurns the protocols of literary study in order to practice an amateurish kind of social science (sometimes called “cultural studies”): amateurish because it relies solely or largely on the “evidence” of fictional texts, as processed through the speculative pronouncements of Continental philosophers and their followers, from Althusser to Žižek. For almost forty years now, English studies has been producing soft-core philosophy, history, anthropology, sociology, and so on, sexed up with jejeune ideological critique and political posturing. It’s worth adding that English departments in South Africa – although only from the late 1970s – were no less eager to absorb these subversive intellectual technologies, in order the better, presumably, to combat apartheid. The final nail in the coffin of literary studies might conveniently be dated to the publication of Fredric Jameson’s book The Political Unconscious in 1981, which instructed its readers that the only ethical way to read literature was “symptomatically”. For Jameson all human cultural activity is political, and since the Marxist account of history offers “an untranscendable horizon” for all political endeavour, all reading must in the end seek to identify the engine of history, the deep-level contradictions of class struggle cleverly concealed by the lying surface of the text. This eminently sane idea is just one expression of the screed of discursive weapons, loosely assorting under the rubric of what Ricoeur called “the hermeneutics of suspicion”, weapons that have been employed by academics to abuse literature over the past several decades. I use the verb quite literally: as I’ve already suggested, so-called literary studies are today mostly not about literature: they involve the plundering of literature for purposes that may be social- or human-scientific, but are just not literary. As a figure of speech, the phrase “literary studies” is today an exemplary instance of catachresis (or, in Latin, abusio). So what was the intellectual catalyst of this debacle? Ironically for a discipline so language-centred, English’s classic misadventure was enabled by a development commonly known as the “linguistic turn” in the humanities, and the theorization that accompanied it. As the decades pass, the purveyors of theory rooted in the linguistic turn – who for a time presided like deities over the Western academy – appear more and more in the light of an improbable caravanserai of surrealists. Like Guy Debord’s Situationists in France in the 1950s and ‘60s, ur-poststructuralists such as Jacques Derrida, Jacques Lacan, and Michel Foucault, sought to make a spectacular intervention to jolt the Western intelligentsia out of a perceived epistemological complacency, which was reckoned to amount to complicity with the institutions of state power – a sort of épater la bourgeoisie for the European academy, including, of course, its moribund but still dominant Marxist orthodoxy. I doubt they ever dreamed that so many scholars of literature would take their intellectual bravado and Dadaesque sophistries so seriously, that is, as a series of accounts of how the world really is: take Foucault’s announcement of the “death of man”, for instance. Perhaps yet more culpable because more immediately influential were the English translators and mediators, the earnest epigones who unquestioningly popularised this collective delusion in the English-speaking world – quislings like Jonathan Culler and hacks like Catherine Belsey who churned out the Methuen New Accents series of post-structuralist primers. It is time to backtrack a bit to gain a sharper perspective on the tradition that was so comprehensively betrayed by these developments. The modern study of literature was arguably inaugurated in the 1920s by a group of Soviet scholars known collectively as the Russian Formalists. Although their influence would not be felt in the English-speaking world until 1949, when Rene Wellek and Robert Penn Warren’s Theory of Literature appeared, the Formalists made a seminal contribution towards identifying the specificity of literature, which they called literaturnost or literariness. Between them, Tjnjanov, Eichenbaum, Tomashevsky, Shklovsky, and later, Roman Jakobson, effectively defined the nature and function of literature. Literature, as Jakobson famously put it, was “message for its own sake”, ruled by the self-referring “poetic function” (Jakobson 353). Meanwhile in England, I.A. Richards and his hapless students at Cambridge were developing what he called “practical criticism” – a way of responding to literature based upon the practice of close reading. Close reading – which was to be central to the agenda of the American New Critics – is no more nor less than reading like a writer, that is, reading with the care and attention to detail that writers, certainly modern writers, have always brought to bear in their reading (see Prose). Unfortunately, in the polemics through which it consolidated its position in the academy, the New Criticism exaggerated the autonomy of the text as an art object, as – in Cleanth Brooks’s famous phrase – “a well-wrought urn,” and grossly overstated the anti-historicist and decontextualising potentialities within its own practice. Reaction against what was dismissively dubbed “prac crit” came from several quarters, as you know, fuelled by a range of philosophical speculation and political ressentiment: structuralism, neo-Marxism, cultural materialism, Lacanian psychoanalysis, deconstruction, New Historicism, Foucauldianism, postcolonialism, and so on. Now what all these approaches have in common is a paranoid insistence that things are never what they seem to be, that our personal instruments for engaging with the world – our minds and our senses – are apt to mislead us, masking rather than revealing reality. Autonomy and rationality are illusions, and our thoughts, feelings and perceptions are determined in ways and places that are beyond our control and (before Theory came along) beyond our ken. But whether our subjectivity is controlled by the material forces of production, the unconscious mind, the capillary actions of power, discursive forces or even language itself, the result is the same: there can be no such thing as objective truth, and judgments of meaning and value are permanently disabled by contingency. In this perspective, empiricism is naivety, and common sense is self-deception. The explanatory models alluded to above are called theories either because their contentions have not been proved, or because they are of a sort susceptible to neither verification nor falsification. So they may or may not be true, but not one of them possesses the authority of a truth claim in the logical or scientific sense and can therefore command the belief of a sane and skeptical human being. On the other hand, for each of us, experience – the evidence of our senses and the motions of mind and heart that it prompts – is the thing most real and true to which we can lay claim. This is a perspective both empiricist and existentialist: for the human subject, existence or experience will always precede essence, even if that essence allegedly antecedes and is productive of the experience. Or, as Sartre put it (rather more eloquently): “determinism, a reflective defense against anguish, is not given as a reflective intuition. It avails nothing against the evidence of freedom; hence it is given as a faith to take refuge in, as the ideal end toward which we can flee to escape anguish” (40). In short, theory is an understandable but evasive reaction to the obdurate facticity of the world. The moment – with both its freedom and its anguish – will always be ours, to make of what we wish. There is the question of dignity too: to disavow the authority of our own experience in deference to some hypothesized determinism strikes me as a particularly abject form of capitulation. Prometheus, Lucifer, now you and I: it is only in modernity that the Western mythic archetypes of humanity can truly be said to have become representative of their species. And whatever their provenance, they – we – are best characterized as post-Enlightenment avatars of that developed self-awareness to which we give the name of humanism. And this, I believe, is the spirit in which literature should be approached: literary reading should be an open-minded and open-hearted, entirely empirical and always approximate endeavour, marked by tact, humility and reflection. And in “reflection” I include of course self-reflection. Arguably, the only good bequeathed by theory to the study of literature has been the injunction to the reader to become more self-aware: that is, to become more keenly conscious of his or her positioning in history, more sensitive to the kinds of bias and presumption typically engendered by the discursive interpellations of nation, culture, class, race, gender and identity in general. A literary text should in the first instance be honoured as a speech act, an act of human communication, and read so as to attempt to ascertain the author’s intended meaning whilst paying careful attention to how that meaning is conveyed. The appropriate way to go about this is to read in a writerly way, that is closely, as closely as writers read. While the text is the primary source or object of enquiry, any information extraneous to the text that might assist in the hermeneutic or interpretative endeavour should be made use of (historical and cultural context, authorial biography, and so on). It must be borne in mind at all times that the text is an aesthetically valent artifact, and that the activity of interpretation is inseparable from the activity of evaluation. To use a literary text for a purpose other than that for which it was intended without first reading it in the way adumbrated above is unethical. While there must be a place for such instrumental readings – that is, readings that proceed inductively and use literary texts in order to demonstrate or substantiate arguments or theories about philosophy, history or culture – I am not convinced that that place is in a department of literary studies. Only works of real quality should be included in the syllabus – that is, texts that are worthy of close attention for their own sake, rather than for what they unconsciously reveal about the context of their production, etc. No critical writing should be so difficult or obscure as to be inaccessible to a third-year student. It is time that we abandoned the Hermeticism, the pretense that we have some secret knowledge transferable only in an argot that solely the initiated can comprehend. No teaching should be used deliberately to further any political agenda, however fashionable or however passionately espoused. As Stanley Fish argues in his 2008 book, Save the World on Your Own Time, the duty of university teachers is to “introduce students to bodies of material new to them and equip those same students with the appropriate (to the discipline) analytical and research skills . . . neither less nor more” (168). Finally, we must do all in our power to discover or invent a new critical language capable of conveying with cogency the affective dimension of the reader’s experience of a literary text. We also need to develop more precise and sophisticated ways of articulating the recognition of quality and value in writing. Bhabha, Homi K. “Of Mimicry and Man.” The Location of Culture. New York: Routledge, 1994. 85-92. Cartwright, Justin. This Secret Garden: Oxford Revisited. London: Bloomsbury, 2008. Cunningham, Valentine. Reading After Theory. Oxford: Blackwell, 2002. Fish, Stanley. Save the World on Your Own Time. New York: Oxford UP, 2008. Harris, Wendell V. “The Great Dichotomy.” Patai & Corral 190-98. Jakobson, Roman. “Closing Statement: Linguistics and Poetics.” Sebeok, Style in Language 350-77. Maclennan, Don. Reading the Signs. Cape Town: Carapace Poetry, 2005. Through a Glass Darkly. Grahamstown: The author, 2008. Myers, D.G. “Bad Writing.” Patai and Corral, Theory’s Empire. 354-59. Patai, Daphne, and Will H. Corral, eds. Theory’s Empire: An Anthology of Dissent. New York: Columbia University Press, 2005. Prose, Francine. Reading Like a Writer: A Guide for People Who Love Books and for Those Who Want to Write Them. New York: Harper Perennial, 2007. Sartre, Jean-Paul. Being and Nothingness: An Essay in Phenomenological Ontology. 1943. Trans. Hazel E. Barnes. London: Routledge, 1969. Schalkwyk, David. Literature and the Touch of the Real. Newark: University of Delaware Press, 2004. Searle, John. “Literary Theory and Its Discontents.” New Literary History 25.3 (1994): 637-67. Sebeok, Thomas A., ed. Style in Language. Cambridge, Mass. : Harvard University Press, 1960. Sokal, Alan, and Jean Bricmont. Fashionable Nonsense: Postmodern Intellectuals’ Abuse of Science. New York: Picador, 1998. Sontag, Susan. “Against Interpretation.” 20th Century Literary Criticism: A Reader. Ed. 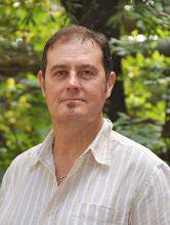 David Lodge. London: Longman, 1972. 652-60. Professors have used this effective method of reading materialistic tendencies in literature, have written books, written papers in journals, presented papers in international conferences and have placed themselves in well paid academic jobs. There are conferences that go on only talking identity politics in a language that is thoroughly subjective and emotional, totally unscholarly. How do we teach, if we only end up taking politics to the class room? Identity politics has become the tool for success for the middle-class intellectuals.